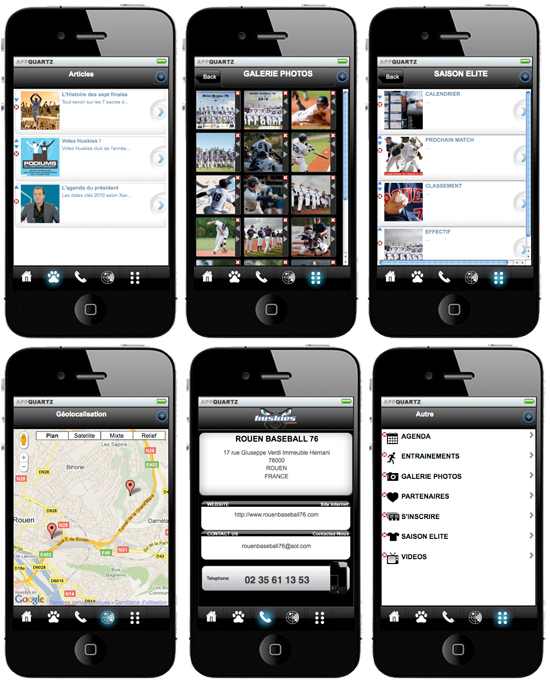 As the first European Baseball team the French Elite League club Rouen Huskies is going to bring an iPhone app into the app store. Looking at their website and their magazine it shouldn’t be a surprise that the Huskies will be the first European team to make this step. The application will be developed by AppQuartz and is going to feature latest news, schedule, results, standings, photos, audio and video. It also will a have geo location option to find the ballpark in Rouen and the Huskies offices. The Rouen Huskies app will be free to download at some point in March. At first it only will be available for iPhone users, but later other smart phones like BlackBerry, Android or Windows 7 also will be supported.